Our range of HDPE Monofilament Yarn are popularly used in sports field as well as for landscaping owing to their adaptability to various colors for aesthetically enhanced look. They are resistant to wear and tear and last longer due to their better stability against the harsh UV rays. These filaments have become highly popular in the artificial grass market. 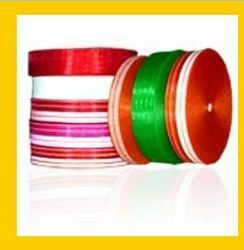 They are available in various colors and thickness like 0.12mm to 0.60mm. The Fishing Twines made up of premium quality High Density Polyethylene Ropes are designed to offer strength coupled with comfortable handling qualities. 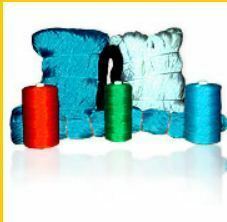 These soft and symmetrical twines with their better knot holding capabilities are well suited for a wide range of applications like weaving fishing net, making sports net, designing safety nets such as construction nets and bird protection nets. The Monofilament Twines are available in all sizes like 1 x 3, 1 x 4, 2 x 3 and 3 x 3. The twines come in the form of hunks and cheese and are available in different attractive colors. 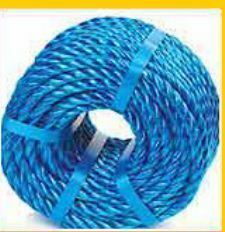 We manufacture braided Monofilament rope of all categories i.e, diamond braid with a core & without a core (called hollow braid) and solid braid. The diamond braid is manufactured by weaving ends of yarn over and under. If no core exists, the rope is called "hollow braid". Solid braid is very firm, round and tightly woven with a special lock-stitch construction which prevents unraveling when cut or torn. These solid braided ropes stand up especially well to chafing of blocks and pulleys. 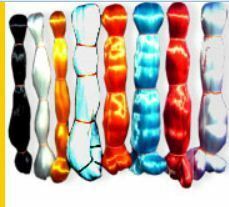 Our Monofilament braid are available in attractive colors range.